Keewin Easy-to-Go Kiosk is bringing the new idea of mobile advertising to the Ads industry, this makes versatility to a whole new level. 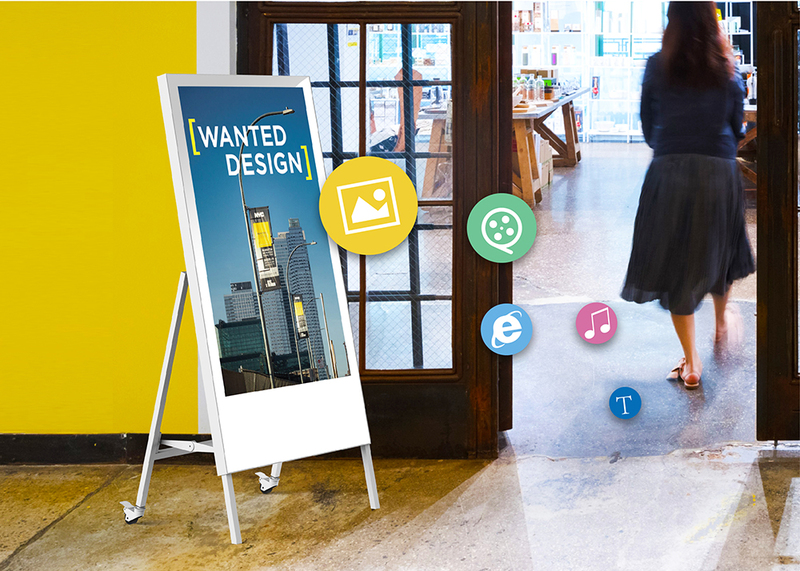 Better mobility, Leon-battery power, All these features makes your advertising easier and easier, wherever in the area of your zone, display your contents at the any high-traffic areas near you. At the same time, you are freeset them according to your fantastic instant idea. Long life battery keeps your advertising displaying up to 24 hours.